Many thanks for our guests from all over the world! We really had a wonderful time with all of you. Have a safe and wonderful trip in Japan! The girl's festival is held on March 3rd in Japan. We display Hina dolls and pray for the healthy growth of girls. 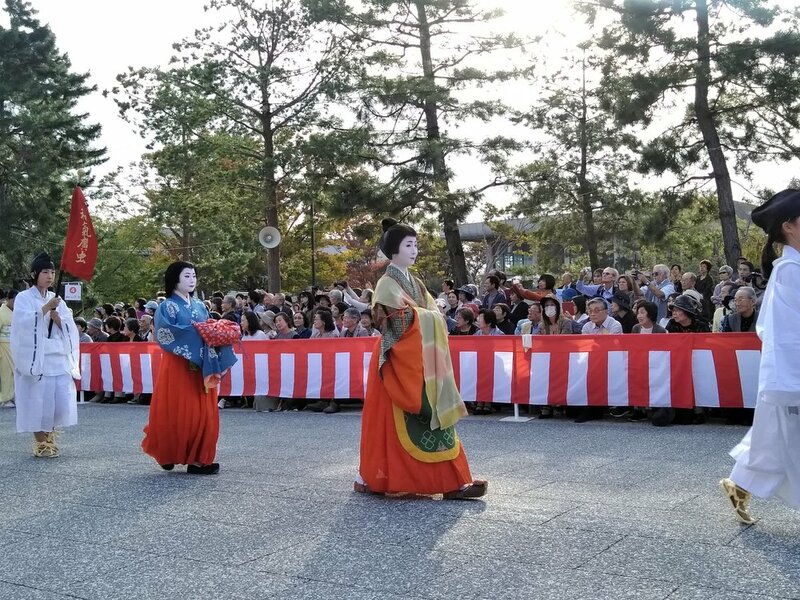 The girl’s festival is also called “The Peach Festival”, “Momo no Sekku” in Japanese or “The Doll’s Festival”, “Hina-Matsuri” in Japanese. You can enjoy beautiful peach flowers or plum blossoms in Japan during the girl’s festival season, from the end of February to March. Please enjoy warm and beautiful spring in Kyoto. Thank you for coming! Be a real Samurai at Samurai Juku, Kyoto. Many thanks for all the guests we had! 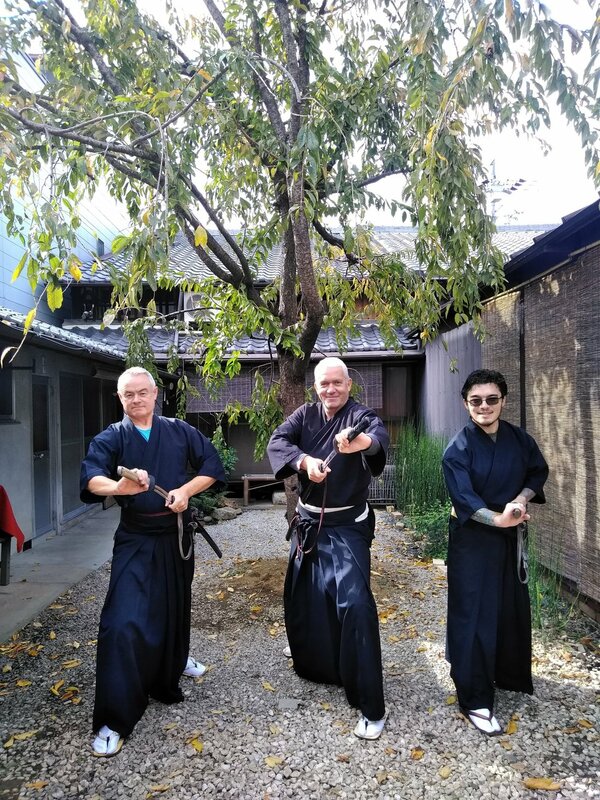 We hope you enjoyed our sessions and felt the spirit of the real Samurai. Kyoto Imperial Palace (Kyoto Gosho) was the residence of the Japanese emperors until 1869. The original Kyoto Imperial Palace was established when the ancient capital city was moved from Heijo-Kyo (Nara) to Heian-Kyo (Kyoto) in 794. 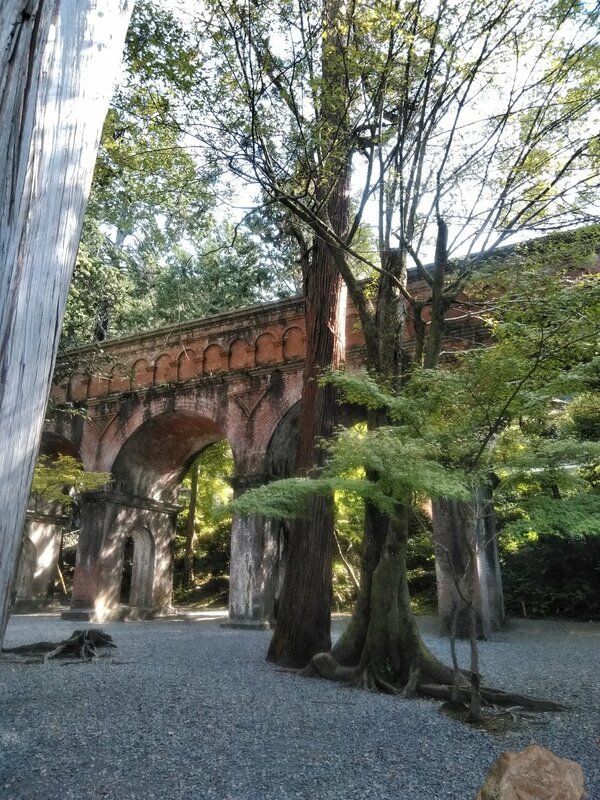 This palace was the stage for important events in Japanese history from 8th century to 1869. 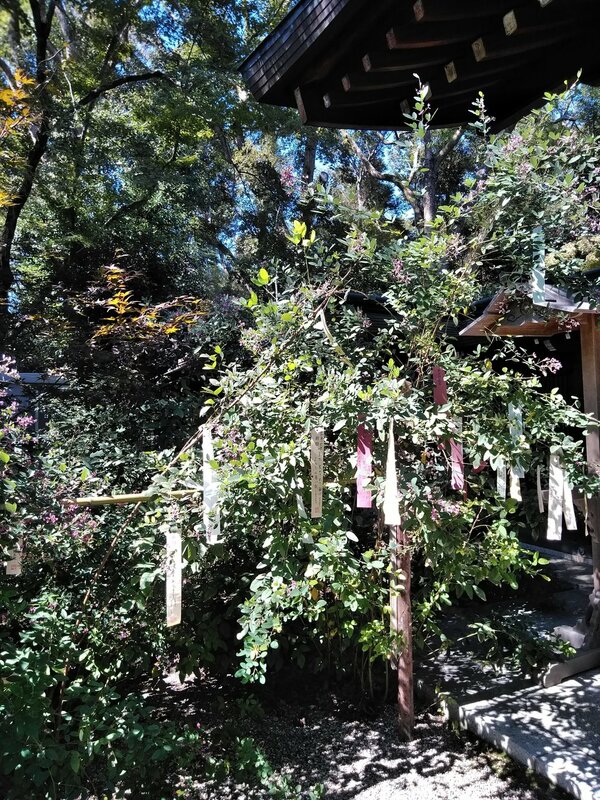 There is a place called “Takiguchi” at Seiryoden (Hall for Rites and Rituals). Samurai who protected the palace used to stay this place. Therefore, those samurai were called “Takiguchi no Bushi” (Samurai at Takiguchi). 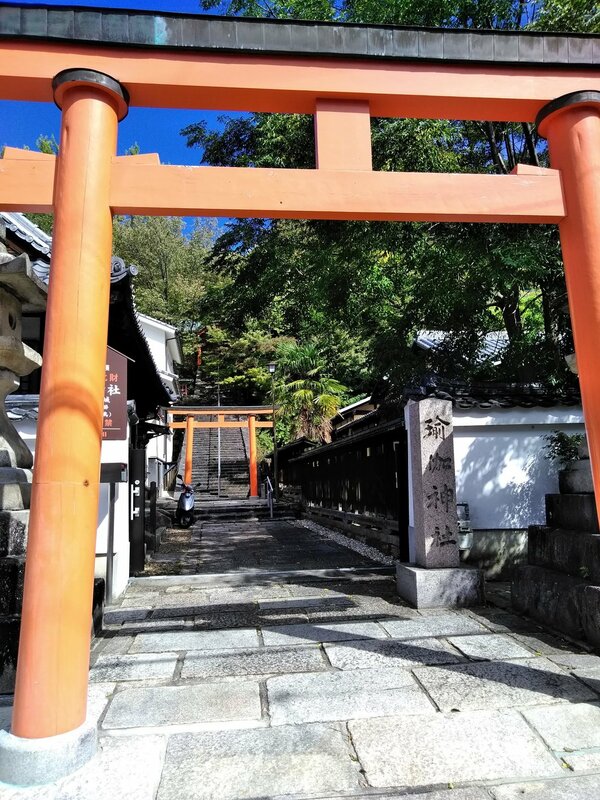 You can see the best quality of Japanese art and architecture here. Please feel the breeze of the ancient capital city, Kyoto. Many thanks for all the guests we had from all over the world! We had a wonderful time with all of you. 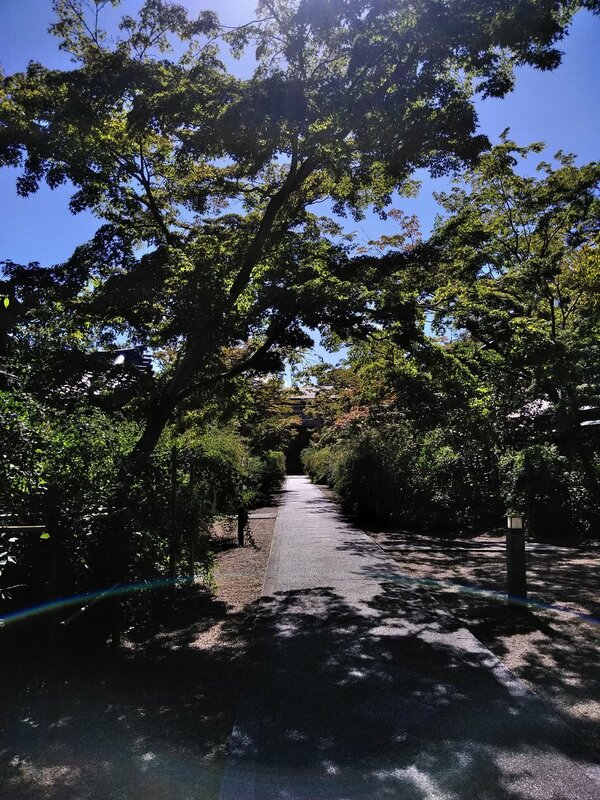 Please enjoy Kyoto, and visit us again someday! 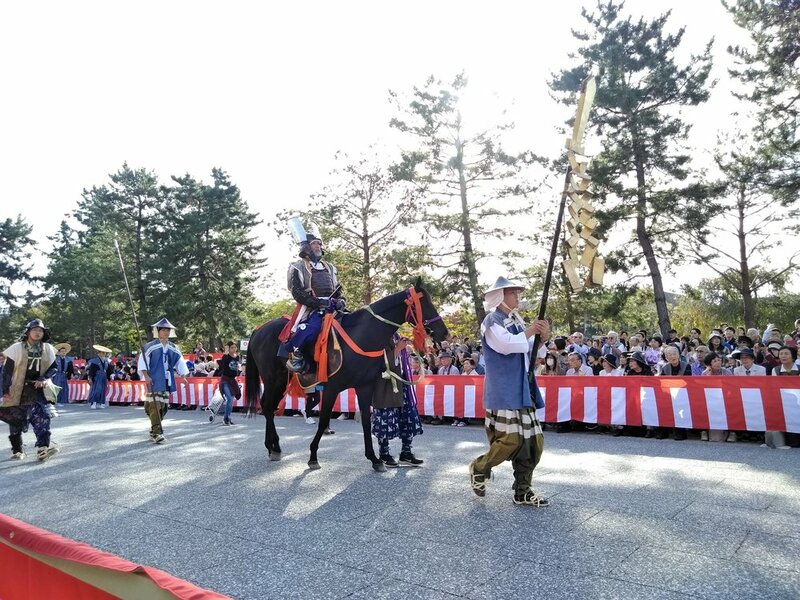 23rd November 2018, Yoroikizomeshiki was held at Kamigamo Shrine in Kyoto. 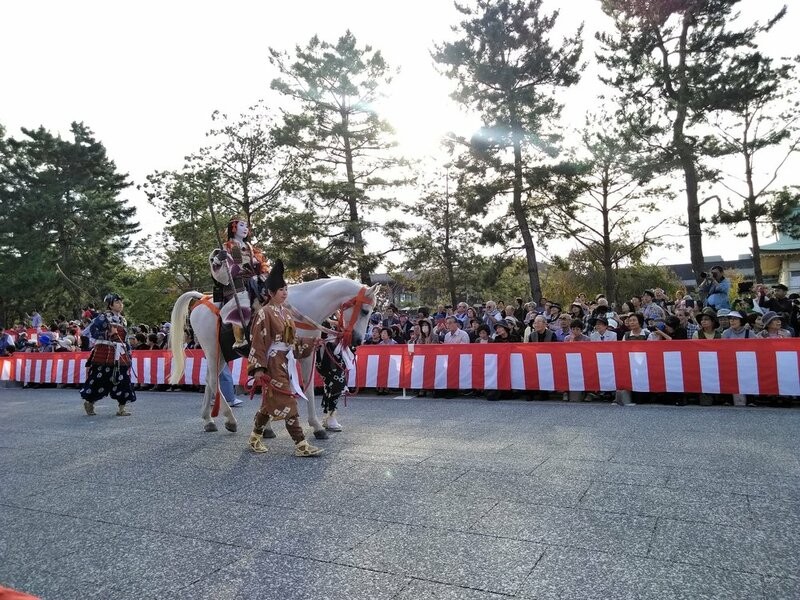 You can see colorful and detailed Heian period style of armors at this festival. The participants parade out of the shrine grounds and then go inside of the main building of the shrine. This festival is based on the traditional ritual of being a man for boys which boys wear their first pair of armors. 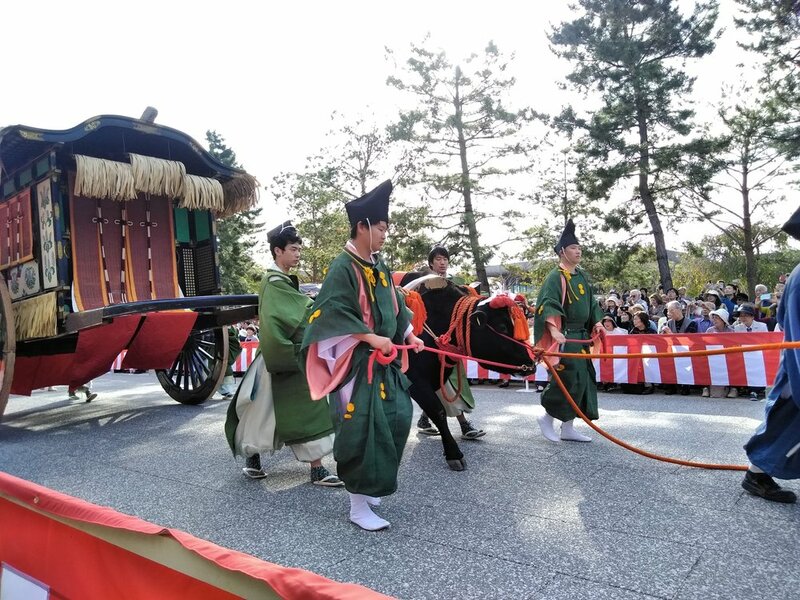 Today, both boys and girls, from the young to the old are able to join the festival. In Japanese traditions, each colors have their own names in Japanese. Those names have their own meanings and represent seasons, plants, animals, or natural phenomena. Heian period style of armor is created to show how the person is rich, sophisticated, matured, graceful and brave. Therefore, the armor has to be beautiful and sophisticated. 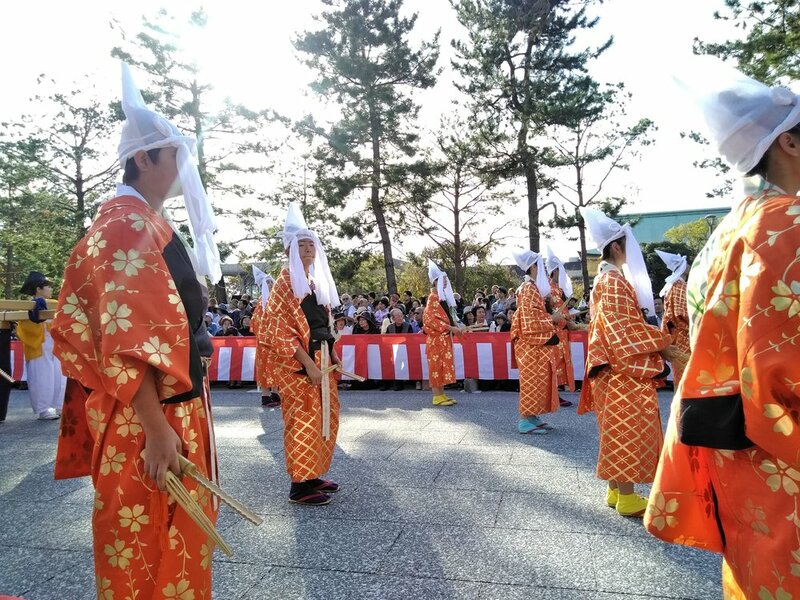 If you visit Kyoto in autumn, please enjoy the color and beauty of traditional Japanese armors at Kamigamo Shrine. 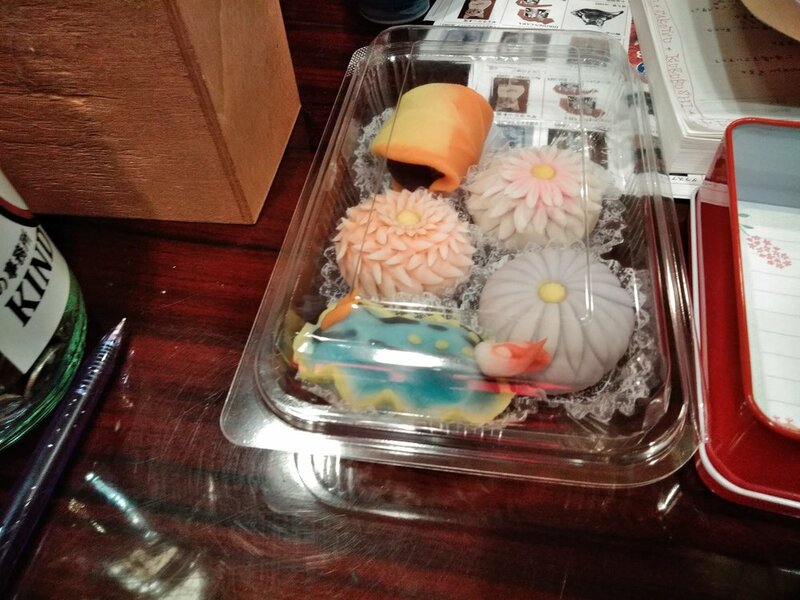 We made Japanese sweets today! 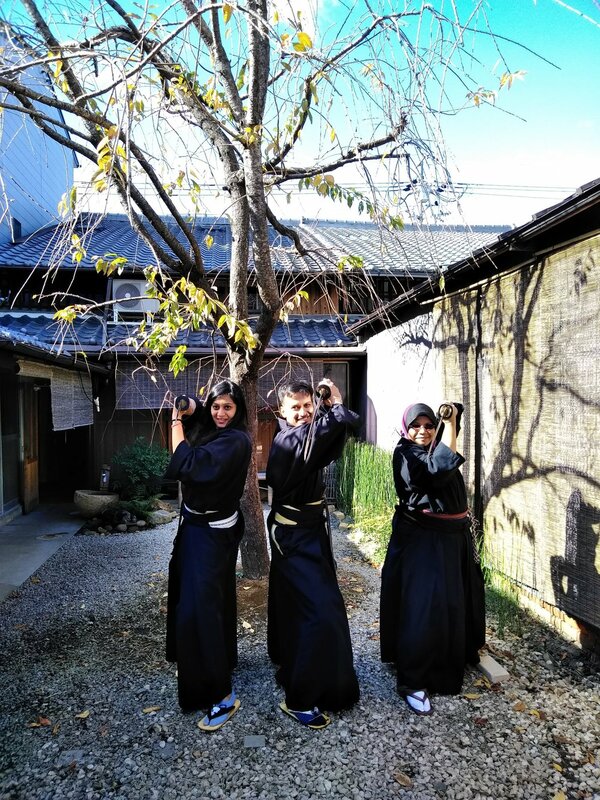 In Kyoto, you can get a chance to enjoy various kinds of Japanese culture experience. 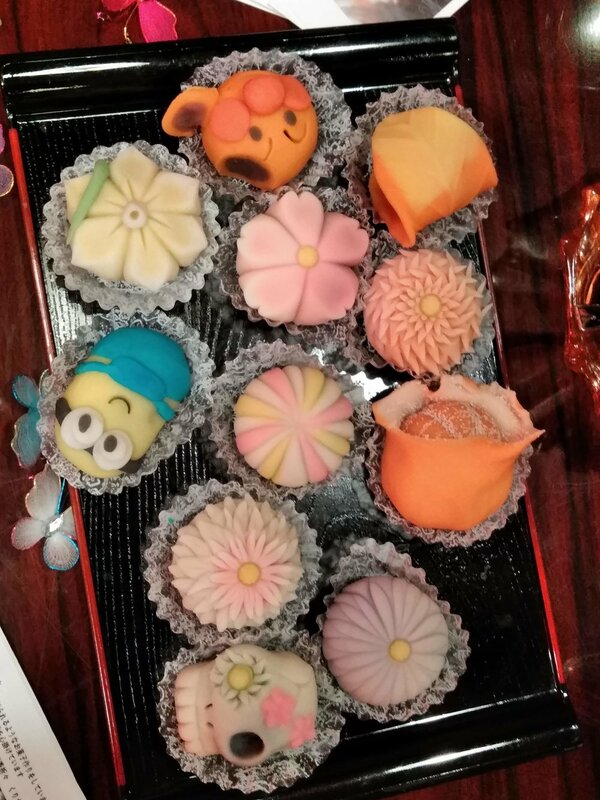 As you can see, you can create traditional shapes such as flowers but at the same time, you can also make anime characters or an orange! 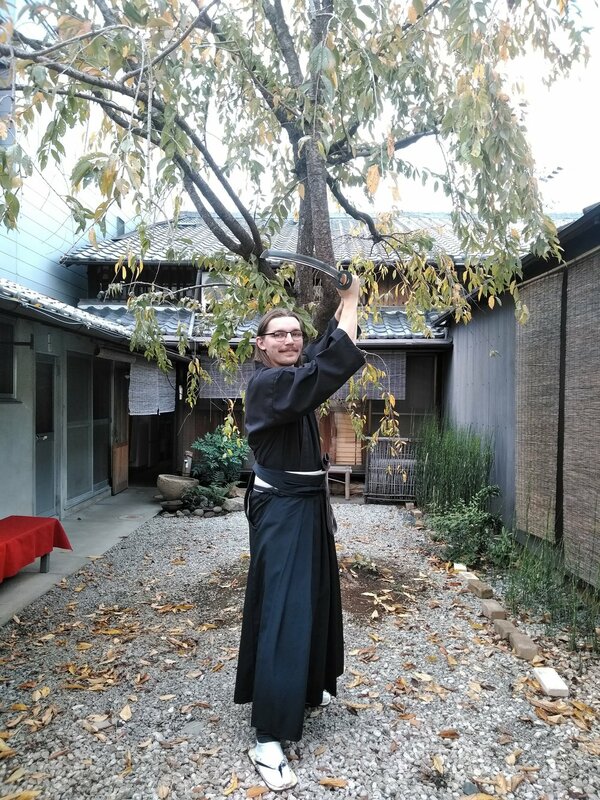 It is interesting to see how Japanese traditional culture is interwoven with new culture. Thank You for Coming! 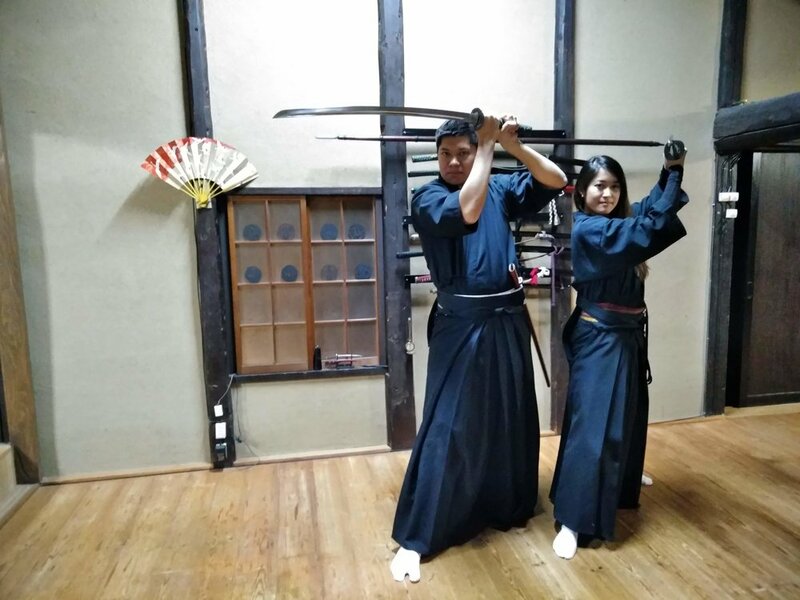 Samurai Experience! We welcomed wonderful guests from all over the world! Thank you very much for coming. 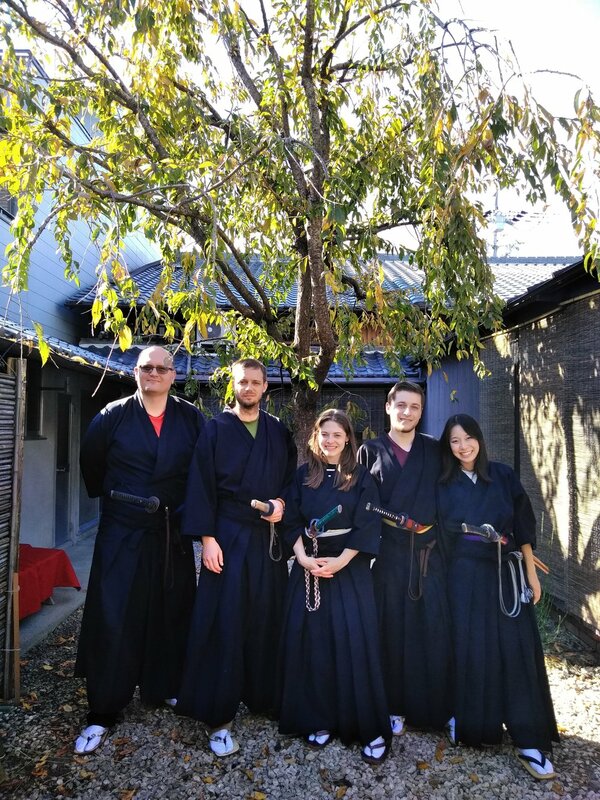 We truly hope that all of you had a beautiful time in Kyoto. "Swords of Kyoto" in Kyoto National Museum!! Special exhibition of Japanese swords is held in Kyoto National Museum until 25 November. This exhibition is one of the best exhibitions of Japanese swords ever held in terms of number and quality of swords. There are 19 national treasures and other very famous historical swords. Kyoto National Museum is near Shichijyo station. 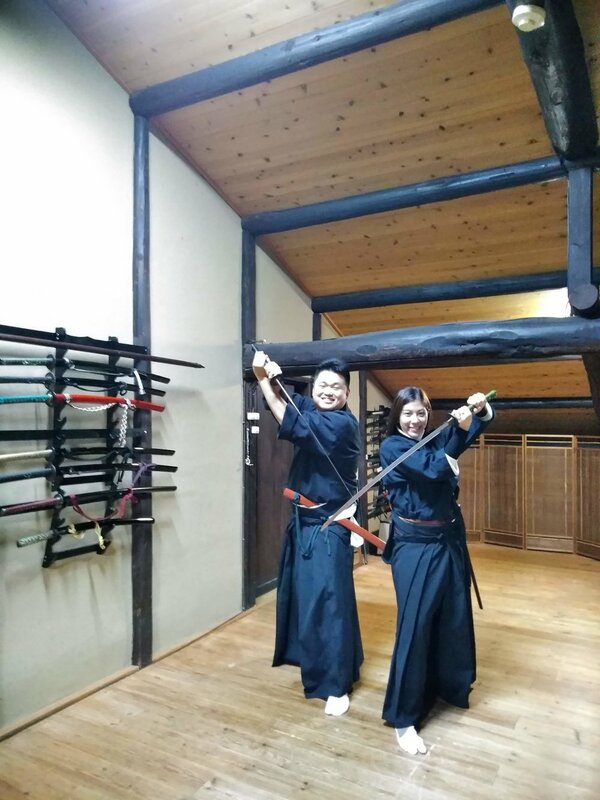 At this exhibition, you can see various kinds of Japanese swords including Ken, Tachi, Katana, Wakizashi, Tanto etc. 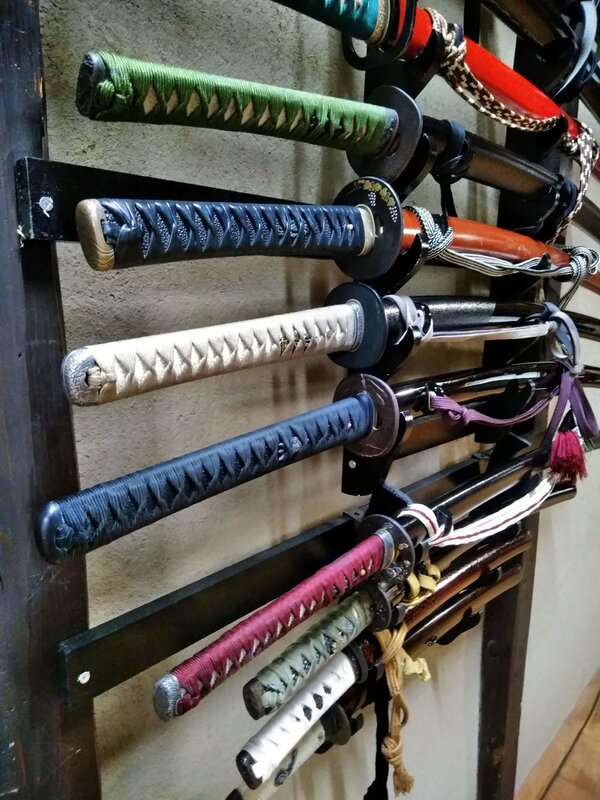 All of them are very famous and high quality swords that were made by talented historical blacksmiths in Kyoto. 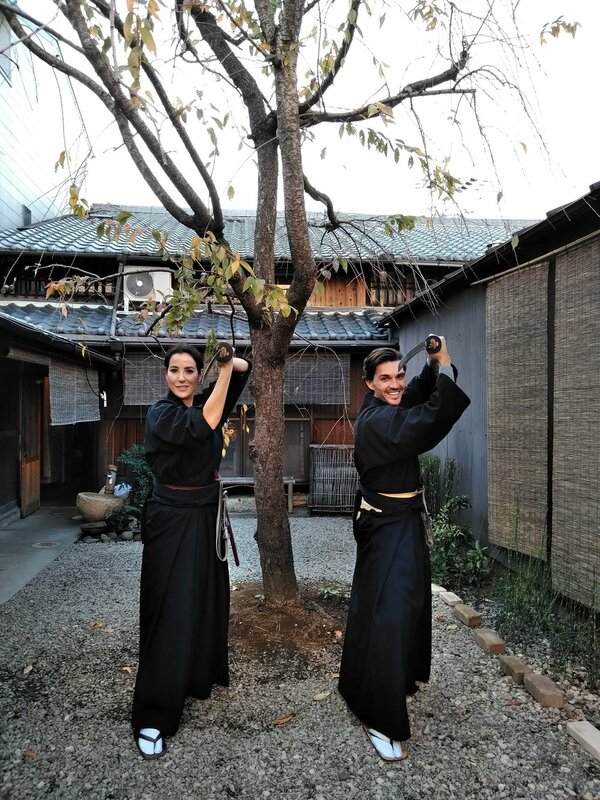 Kyoto has been called as ‘Yamashiro no Kuni’ for a long time, so those swords are generally called Yamashiro Kei (Yamashiro Style). It is not allowed to take photos of swords at this exhibition. Every swords at this exhibition are very beautiful to see. However, they also have their own histories or legendary stories. If you know those stories, it has to be much fun to observe the swords. 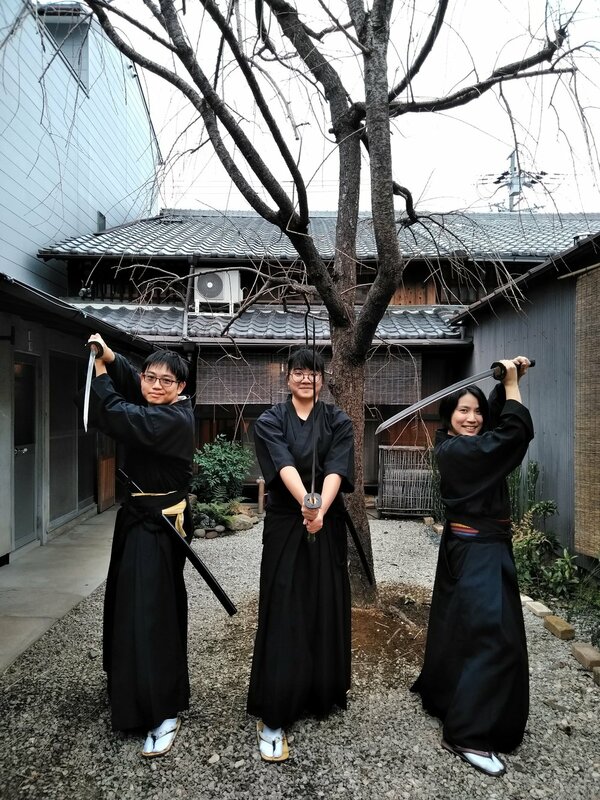 Japanese swords are now quite popular for Japanese, especially for young women because of the game called “Touken Ranbu”. Touken Ranbu is an online game that you make your own team of deities of Japanese swords and fight using swords. These characters are deities of famous Japanese swords. For example, Mikazuki Munechika is one of the most beautiful swords in Japanese history, and a lot of historical people owned and cherished it from 12th Century, Heian period. Therefore, the deity is described as wise, strong and beautiful. 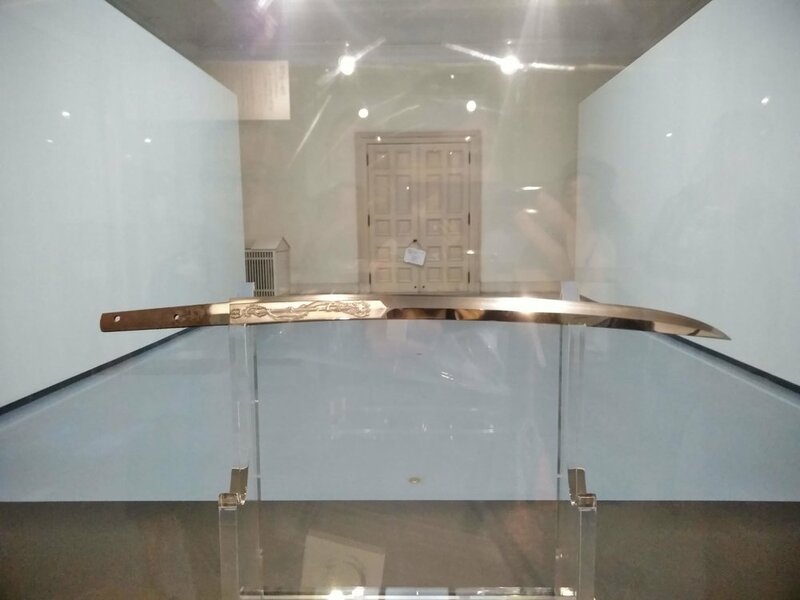 You can see this sword at this exhibition. 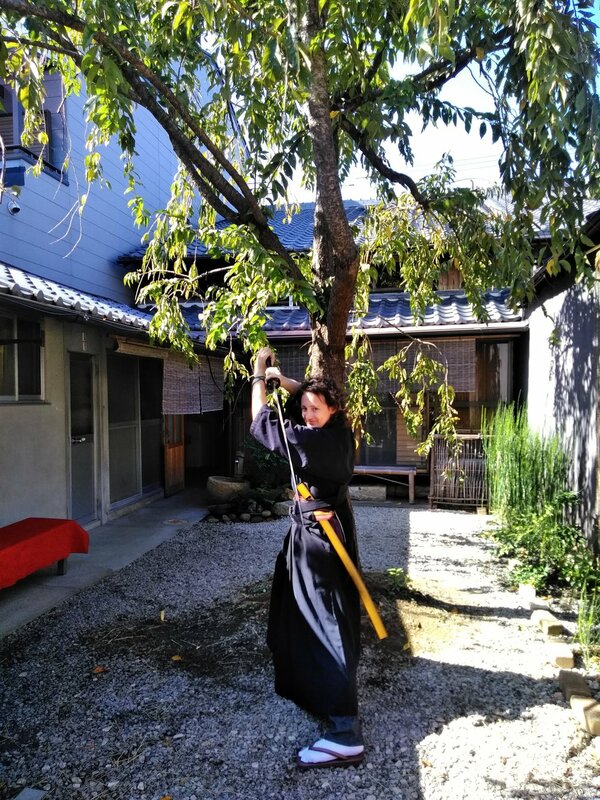 When you watch Japanese sword, please enjoy the color and texture of its surface. Also, you can enjoy to see a pattern on the blade. Every swords are slightly different in many ways including their patterns on the blade; straight or wavy etc. Kyoto is now autumn and it is getting cold. 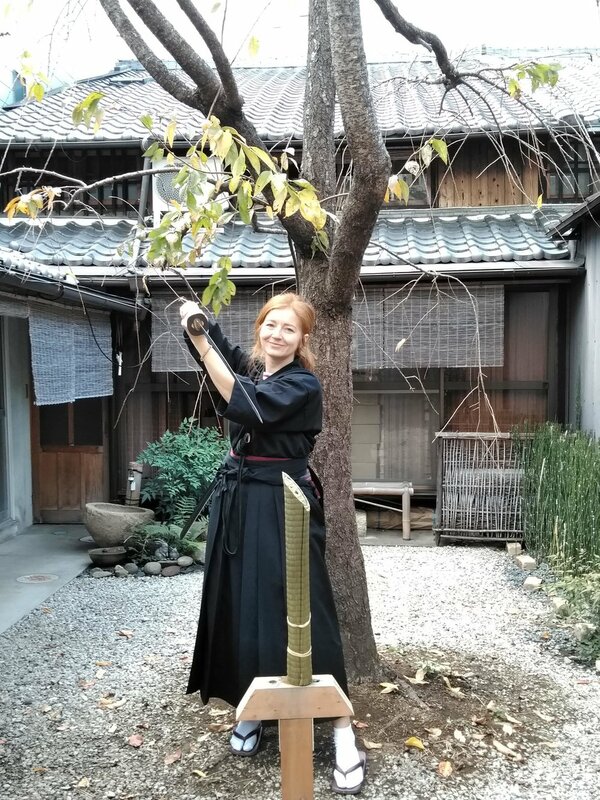 In Kyoto, you can enjoy beautiful red leaves and venerable festivals in autumn. 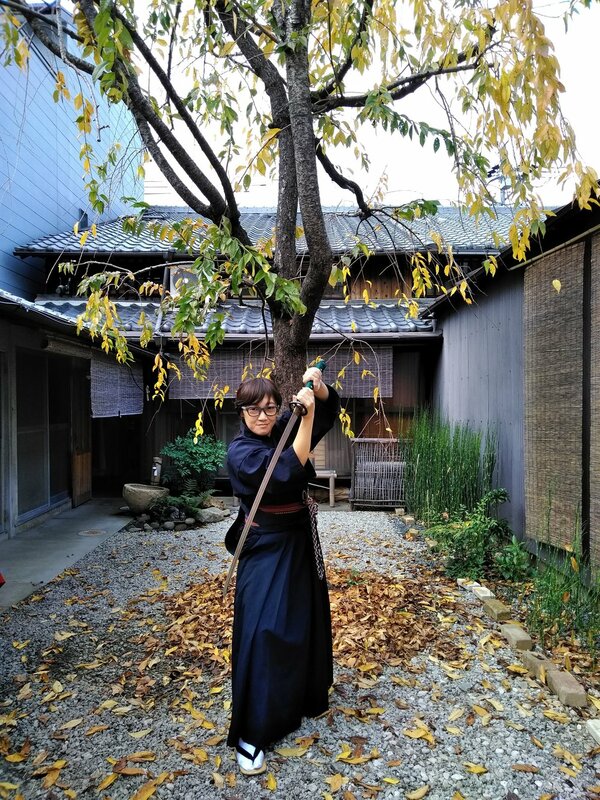 Please visit autumn Kyoto! We welcomed wonderful guests from all over the world. 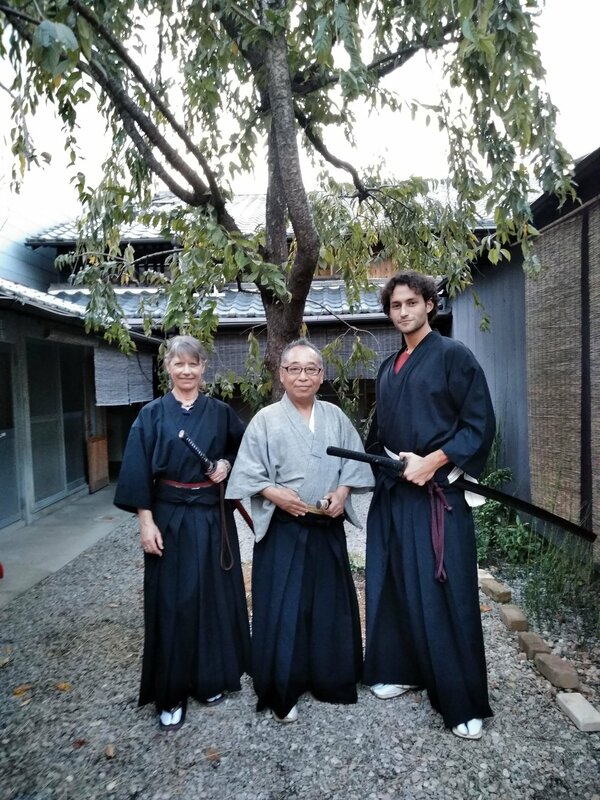 Many thanks to our guests and hope our session remains one of their best memories in Kyoto. 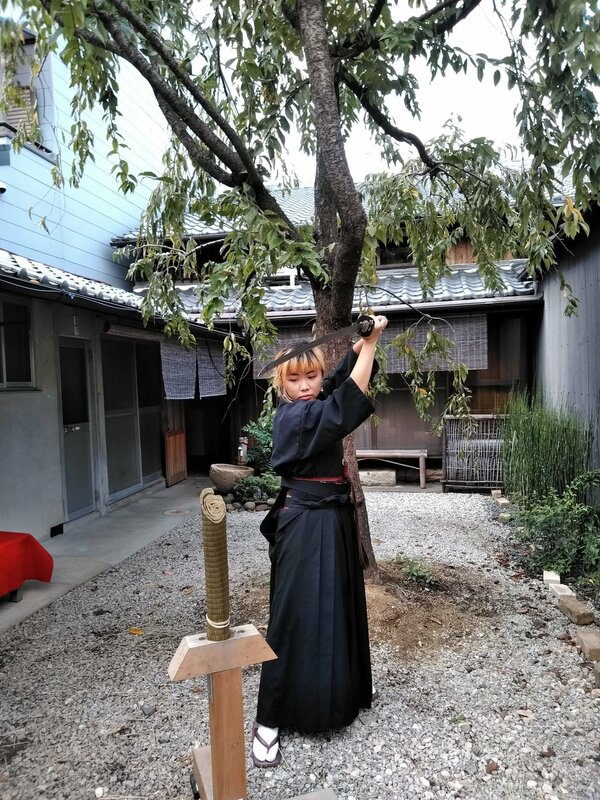 It is said that the method of creating Japanese swords has not been changed over 1000 years. 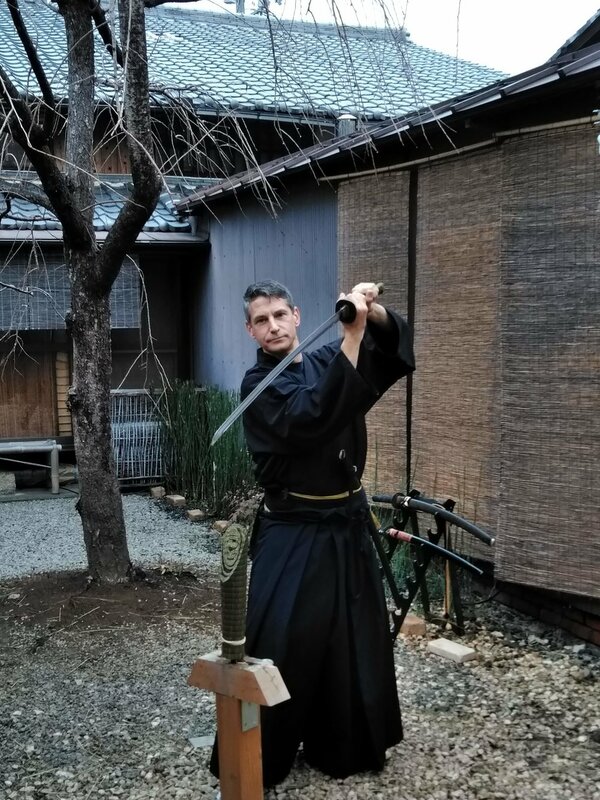 Swordsmith of Japanese swords has pursued sharpness and toughness of swords. 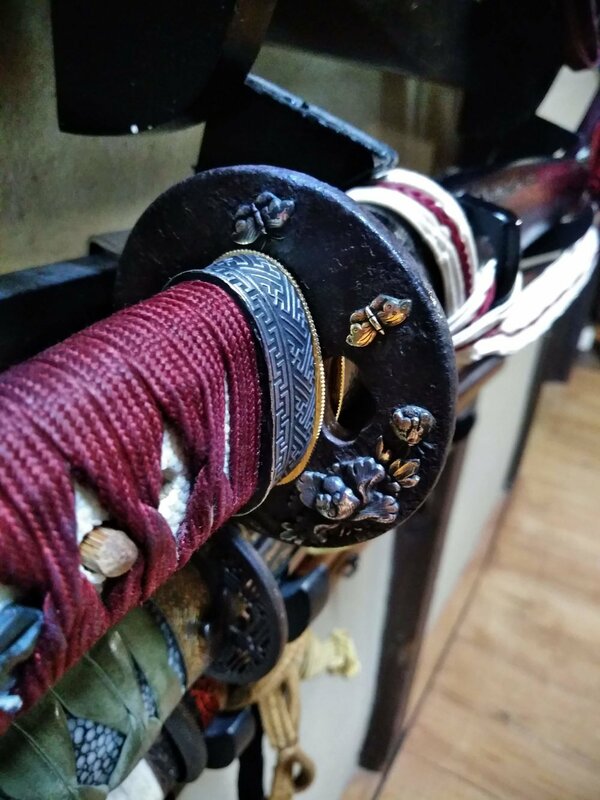 The decoration of Japanese swords is also very important. Every swords are slightly different in terms of their length or shape, but also of their decoration. Japanese swords are composed of various kinds of parts and every parts are detailed and sophisticated. Those symbols such as plants, animals or patterns have their own meanings. This sword below has butterflies on the hand guard. This handle below has cherry blossom at the edge. 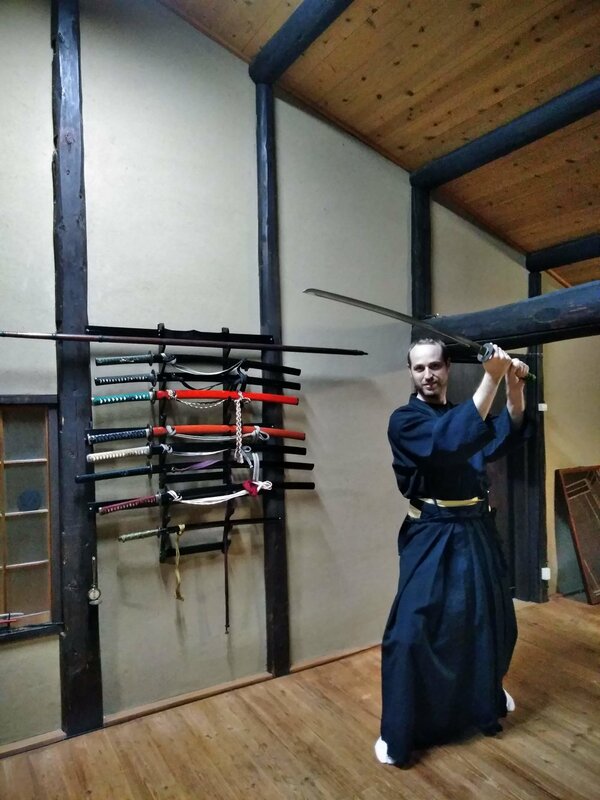 If you are interested in Japanese swords, please observe every detailed parts. You will love to know the meanings and history of those decoration. 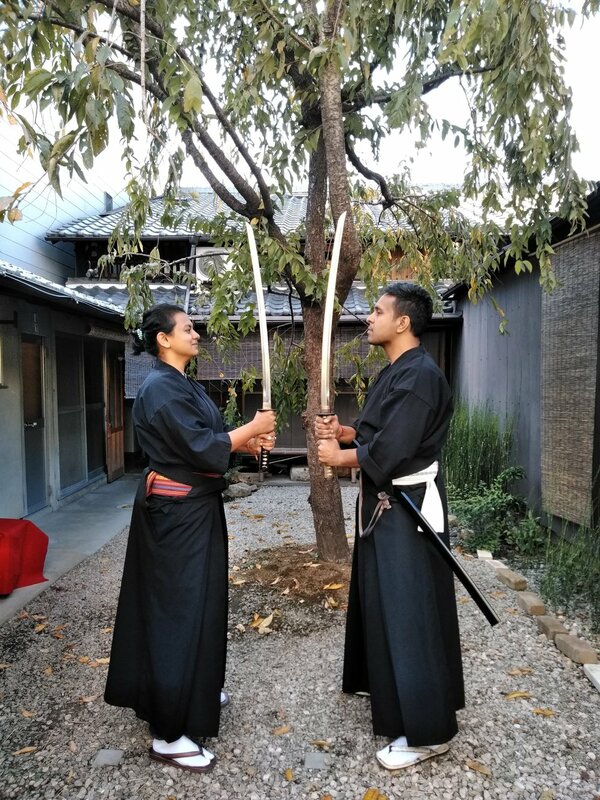 At Samurai Juku, you can feel the spirit of the samurai and learn how to use Japanese swords. 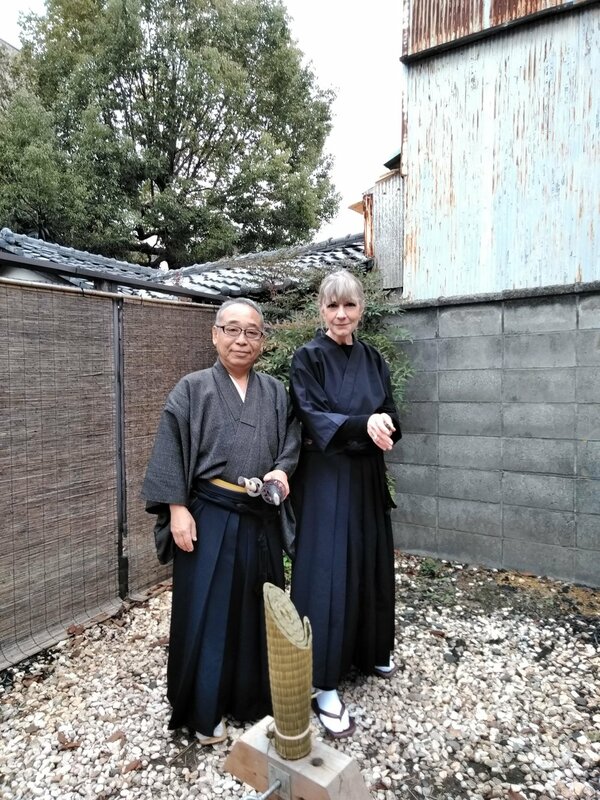 The master is a descendant of Samurai family which served Mouri family in Yamaguchi prefecture. 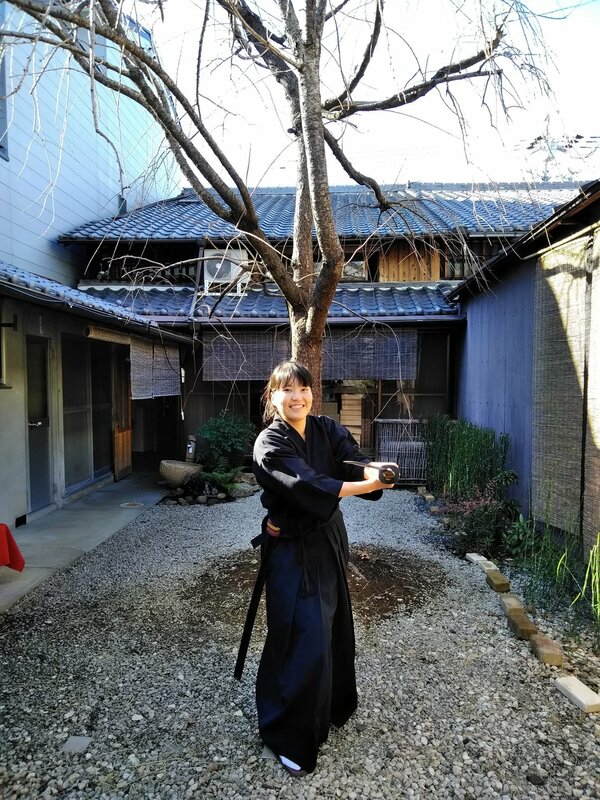 It can be said the it is difficult to maintain the best condition of Japanese swords and let people who have never touched it cut tatami rolls. 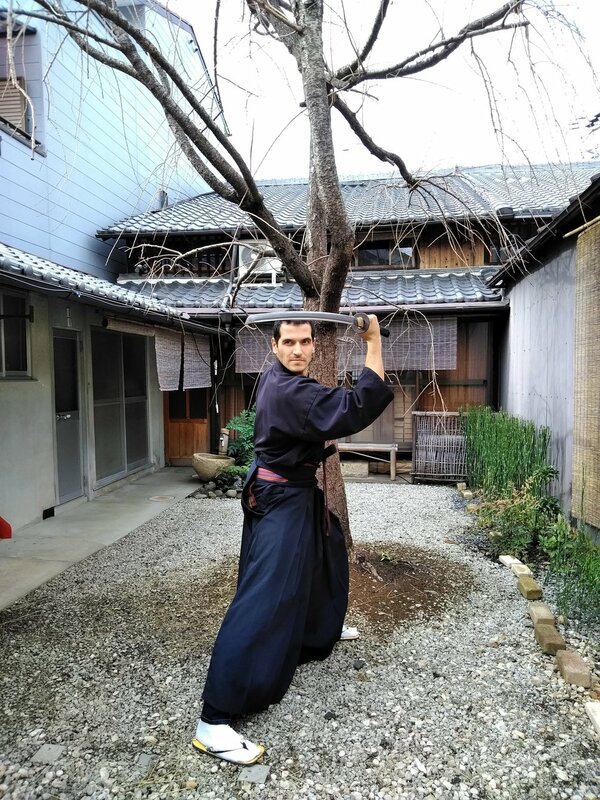 It is also difficult to answer the question, “What is the meaning of protecting the techniques and spirit of Samurai in today’s Japan?” As you know, we don’t “need” it in our daily lives in today’s Japanese society. 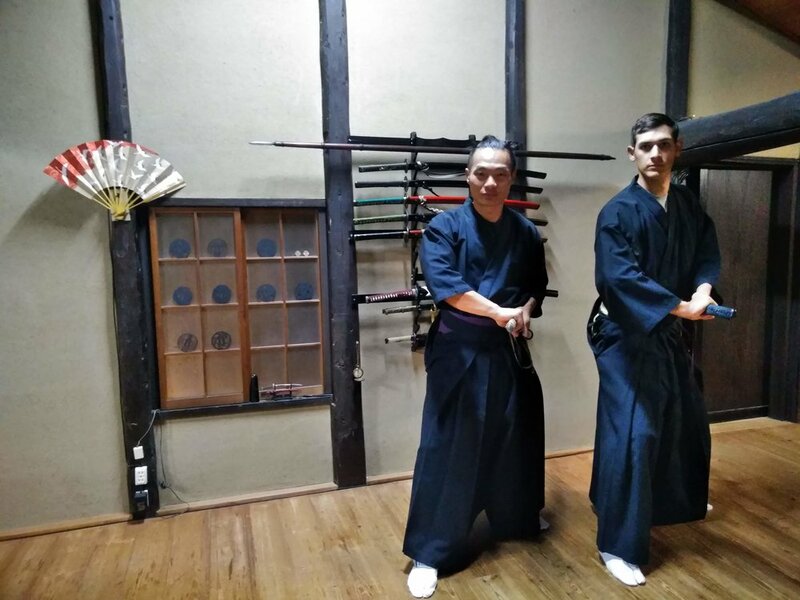 However, as long as someone is interested in Samurai and their culture or Japanese swords and its histories, we believe it is worthy to keep telling people about our own culture. We welcome people from all over the world including Japan! 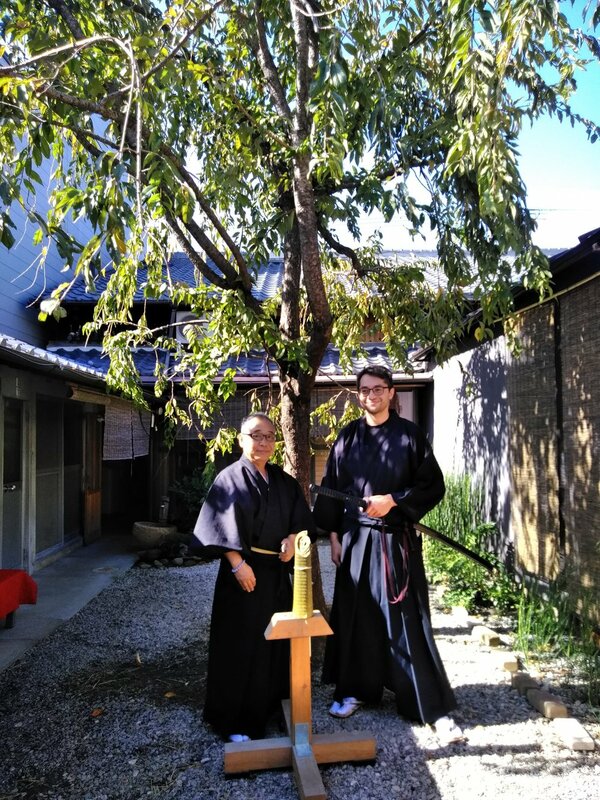 Please feel free to visit us and let’s enjoy Kyoto and its history and culture.